We’ve sent out plenty of cooperation lessons. Working with classmates is definitely an important skill for students to learn. But it’s just as important that students learn which activities should be done with others, and which they should be able to do on their own. Have you ever had this happen to you? You’re starting an activity with your students. You give the directions as explicitly as possible, students have all the materials and information needed to succeed. You give students the go-ahead to get started. Two seconds later you hear, “I need help…” from a student who hasn’t even attempted the activity yet. And it’s not that they didn’t hear the directions, they just don’t want to try by themselves. While there could be many reasons behind this they can be helped by building other skills, the first step is identifying when they need to work independently. 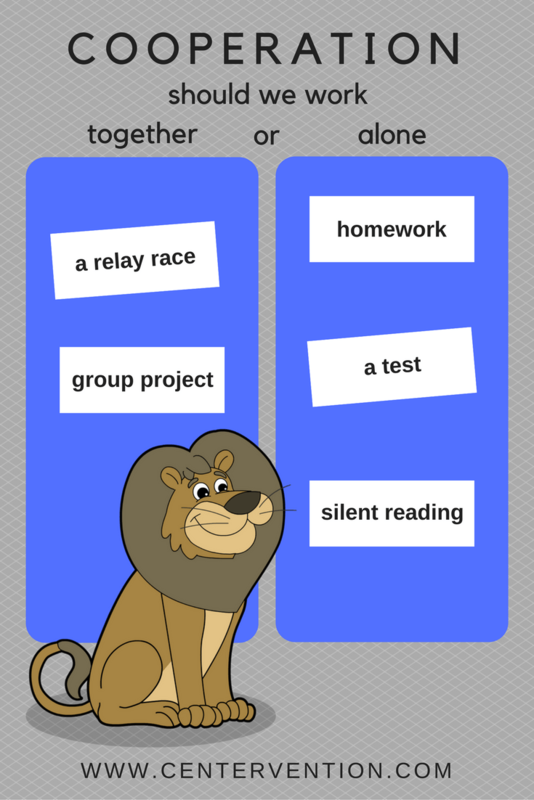 Students will sort types of activities based on whether they would be better completed alone, or working with a partner/group.